Paint Rock Farm is a beautiful 162 acre tract of land overlooking the French Broad River and embraced by the Pisgah National Forest on two sides. 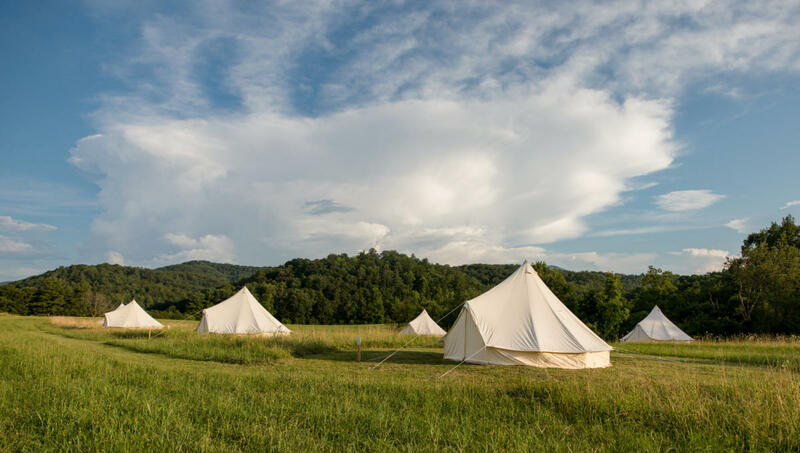 30 acres of open meadow with breathtaking views and wide open starry skies from each site adjoin an additional 111 acre forested conservation area with miles of interior hiking trails. 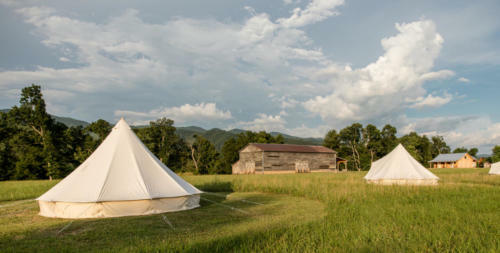 Wildlife and wildflowers are abundant! 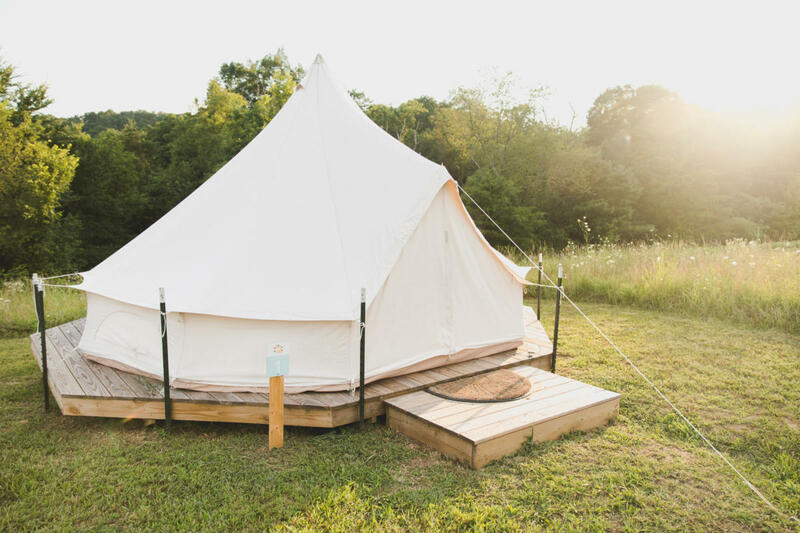 Experience this beautiful outdoor oasis by glamping at one of our five sites! 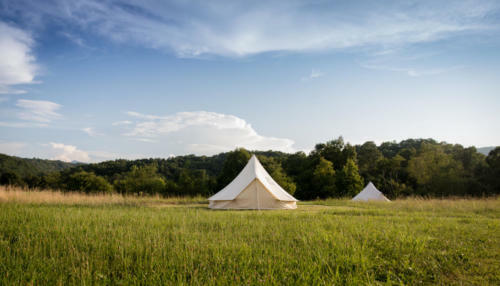 Sites feature beautifully furnished Bell Tents on decks with a memory foam queen mattresses for ultimate comfort. 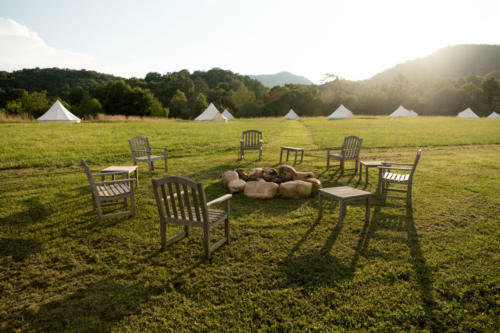 Each unit has its own fire pit and picnic table. 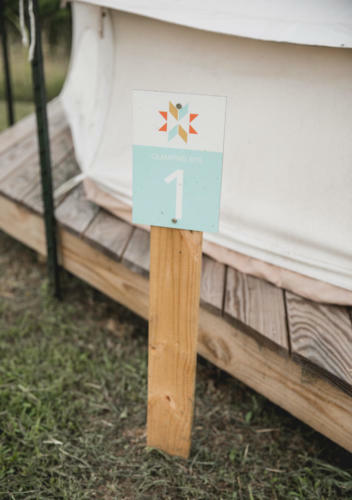 A restored Madison county barn is centrally located for indoor activities on a rainy day including ping pong, darts and games. 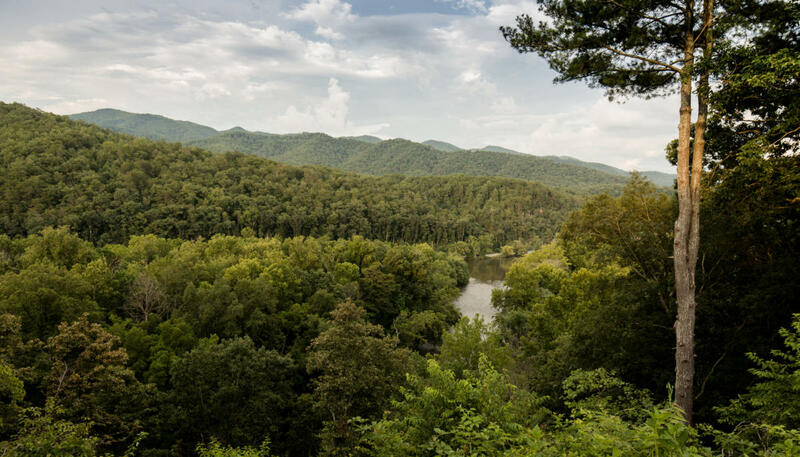 A covered deck overlooks the French Broad River and a brand new bathhouse (for hot showers!) is under construction and scheduled for completion in Fall 2017. 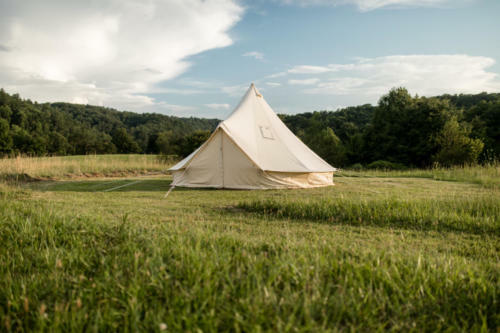 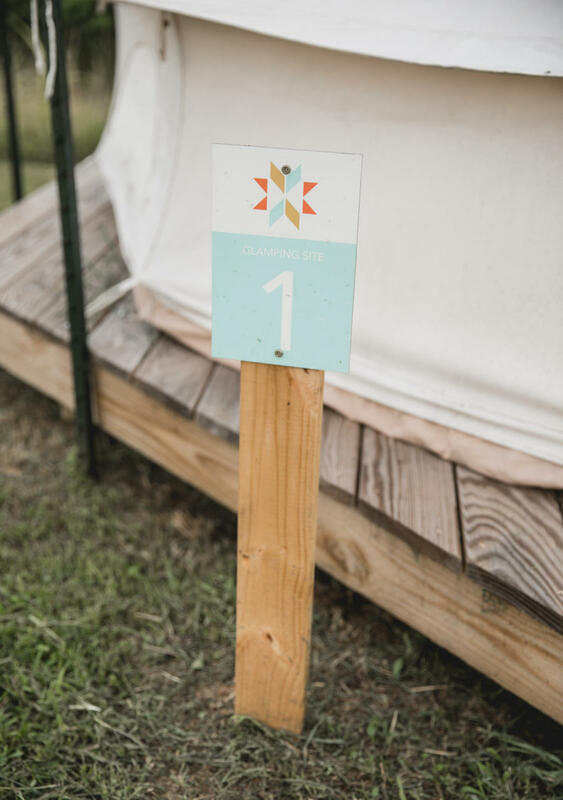 Glamping is perfect for yourself, families, reunions, small retreats, or gathering with your friends for the most comfortable and easy glamping experience you can imagine. A large central fire pit is available for larger groups and an outdoor kitchen is underway. 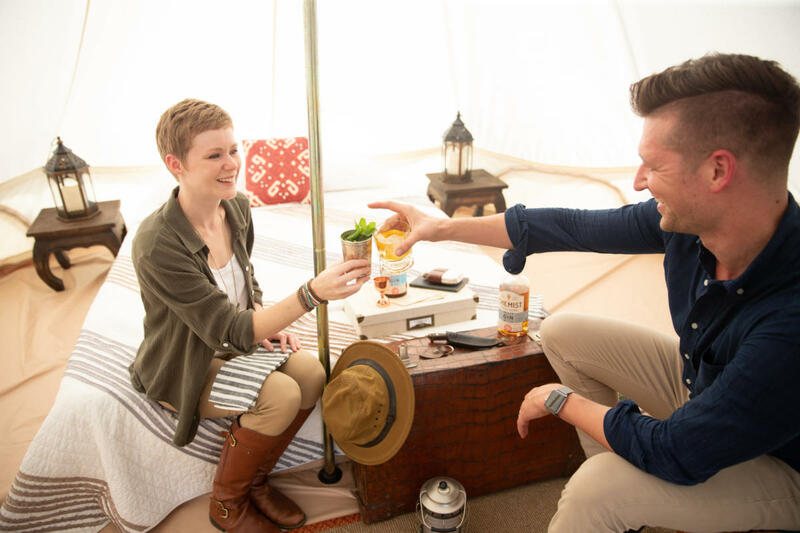 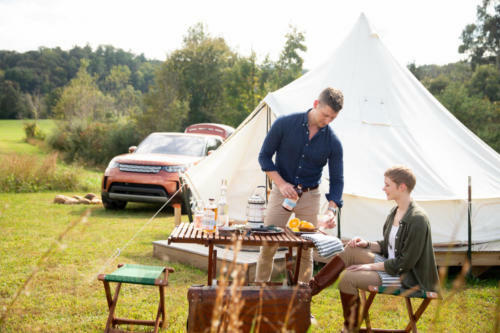 We offer a deluxe glamping package which includes a complete camp set with camp stove, pots, utensils, lantern, and more so you can arrive with just your food and personal items and be completely set up for your glamping experience!